We cover your risk of advertising by guaranteeing you the results you need. We increase your media performance through our tried and tested platforms. 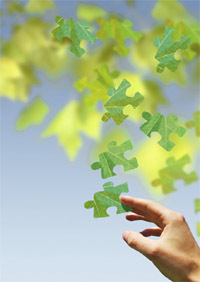 We build cohesive partnerships committed to all parties benefiting. We use our knowledge of the past to provide results for the future. A world class leader in performance based marketing. My name is Mark N. Dorf and I am the founder of the company. I want to thank you for taking the time to view our web-site and consider providing us with the opportunity of having us provide you with our services. My mission over the past decade has been to help companies minimize their financial risk through results driven marketing and media campaigns. After 25 years in the world of media and marketing, I was enticed to create a model that would benefit both the advertiser, agency and the vendor. A true win-win-win situation. My belief in creating successful marketing campaigns is when all three companies are involved with each other through a partner style relationship. I am seeking to work with advertisers where both parties have complete trust and faith that we are working for each other’s shared growth and benefit. My company has accomplished this by conducting successful media campaigns with clearly defined strategies and delivering the results both client and agency agree upon. Backed by an unwavering commitment to client success and tying our compensation to such success I believe more prospective clients will choose us to accelerate the growth of their business.